Detective, crime, and murder mystery novels and stories reached new heights of quality in England from 1890 to 1914. E.M. Wrong's anthology -- Crime and Detection -- is worth pursuing. His introduction to the volume has been included in Howard Haycraft's The Art of the Mystery Story. 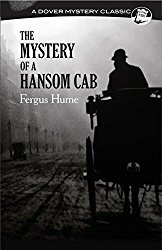 In 1887, Fergus Hume (1859-1932) published The Mystery of a Hansom Cab. Willard Huntington Wright calls The Mystery of a Hansom Cab "perhaps the greatest commercial success in the history of modern detective fiction" (The Great Detective Stories). 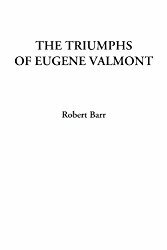 Robert Barr (1850-1912)	wrote The Triumphs of Eugene Valmont. 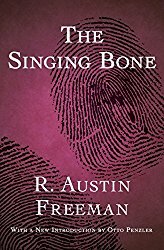 R. Austin Freeman (1862 to 1943)	created the master of all detectives -- Dr. John Evelyn Thorndyke. Thorndyke was different from other fictional detectives, largely because his creator approached writing the stories in an entirely different way from most writers. Most writers read other crime fiction and learn from that how to develop their stories. Freeman said he avoided reading other writers of the genre. Instead, he performed his own real, scientific experiments to determine the reality behind what was involved. As a result, his books became required reading in police academies of the day. Freeman also invented the "inverted" detective story -- the story told in two parts. Part 1 shows the criminal, his plan for committing a crime, his execution of the crime, and his getaway. Part 2 has Dr. Thorndyke investigate. He goes over the same territory that the criminal (and the reader) has already traversed. But as he collects the data and puts together the clues, and as he ultimately interprets them, makes for reading that is utterly fascinating! 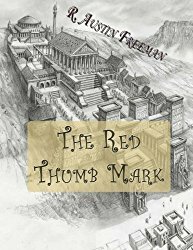 The Red Thumb Mark (1907)	-- this book asks the question: "Can fingerprints be forged?" And answers it! 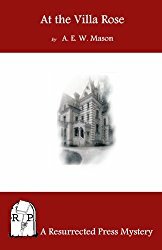 The Singing Bone (1912)	-- a collection of Dr. Thorndyke stories worth reading. E.M. Wrong tells us that this series of books are responsible for "raising the narrator to average intelligence" (Crime and Detection). Willard Huntington Wright says, "...the Thorndyke books rank among the very best of modern detective fiction...." (The Great Detective Stories, 1927), and Wrong calls Dr. Thorndyke "The greatest detective now in business" (1926). Baroness Orczy (September 23, 1865 to November 12, 1947)	created her armchair detective -- the Old Man in the Corner -- who sat in an old tea shop and raveled and unraveled bits of string while he reasoned out "mysteries of great cities" such as Glasgow, York, Liverpool, Edinburgh, Dublin, and the like. Earlier by a a generation than Orczy's "Old Man in the Corner" was Grant Allen's "Colonel Clay," who was featured in a series of stories that were collected in An African Millionaire. Clay was unique in always striking the same victim! The final episode in the tales explains why. 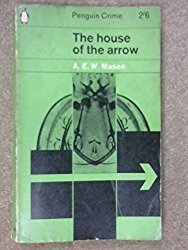 "The Stone of Edmundsbury Monks"
Willard Huntington Wright writes that At the Villa Rose and The House of the Arrow are both "excellent examples of detective fiction, carefully constructed, consistently worked out, and pleasingly written" (The Great Detective Stories). 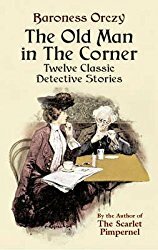 Dorothy Sayers says No Other Tiger includes "...stories of strong detective interest which at the same time have the convincing psychological structure of the novel of character" (The Omnibus of Crime). Chesterton also wrote other books in the genre, including The Man Who Knew Too Much (1922), which was later made into a film by Alfred Hitchcockin 1935 (with Edna Best and Peter Lorre) -- The Man Who Knew Too Much (Edna Banks, Peter Lorre). (The classic shootout scene with Peter Lorre is not to be missed.) Hitchcock remade it with the same title in 1956 (with Jimmy Stewart and Doris Day) -- The Man Who Knew Too Much (James Stewart, Doris Day). When asked why he remade it he said one should think of one version as the work of a talented amateur and the other version as the work of a professional. In the book, the detective is Hornefisher. Another Chesterton detective is Mr. Pond, who appears in The Paradoxes of Mr. Pond (1936). E.C. Bentley (July 10, 1875 to March 30, 1956) reacted to the detective novels of his time and wrote Trent's Last Case (1913). 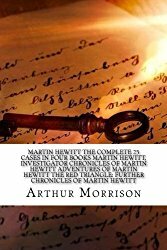 He felt that when the detective unraveled the clues and gave his or her explication on the details of the crime and its solution, the answers were too pat. What if the clues led unerringly to a solution, except -- wait! -- what if the detective was wrong? Willard Huntington Wright calls Trent's Last Case is "a masterpiece" (The Great Detective Stories). Raymond Chandler says Trent's Last Cast is "often called 'the perfect detective story'" (The Simple Art of Murder).Dorothy Sayers gave a penetrating and insightful analysis of the novel in her deservedly famous introduction to The Omnibus of Crime. Twenty-three years later, Bentley wrote a sequel about Philip Trent, the novel Trent's Own Case, and followed that with Trent Intervenes (a collection of short stories). 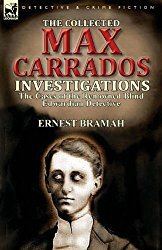 Ernest Bramah (1868-1942) created literature's first blind detective, Max Carrados. Willard Huntington Wright says Max Carrados "must be given his place in the forefront of famous fictional sleuths" (The Great Detective Stories). Max Carrados works with Carlyle, a lawyer who E.M. Wrong tells us "is competent in a normal divorce case but quite at sea against subtlety" (Crime and Detection). The Specimen Case (1924) -- (only one of the stories in this volume is a Max Carrados story). (Also see Best Max Carrados Detective Stories). Bramah also wrote The Kai-Lung tales, including The Wallet of Kai Lung, Kai-Lung's Golden Hours, and others. "One Book Authors" from the British Romantic Era include the following authors and their works, notable for contributing one book to the field of detective fiction, although they produced other (non-detective) works as well. Israel Zangwill (February 14, 1864 to August 1, 1926) wrote The Big Bow Mystery (1891). A locked-room mystery. Lord Charnwood (1864) Tracks in the Snow (1906). Arnold Bennett (1867-1931)	produced The Grand Babylon Hotel (1904), which reveals a strong vein of "detectivism." Robert Louis Stevenson (1850-1894) and his stepson Lloyd Osbourne published The Wrong Box (1889). Catherine Louisa Pirkis created The Experiences of Loveday Brooke: Lady Detective (1894). An early example of the female of the species participating as detective. As the bullet points below show, more were to follow. George R. Sims (September 7, 1847 to1922) Dorcas Dene: Detective (1897). Another female detective. M. McDonnell Bodkin	Dora Myrl: The Lady Detective (1899). Another female detective. Michael Dred: Detective (1899) by Robert and Marie Connor Leighton may have been the first story to make the detective the murderer. "Gordon Holmes" (collaboration by 2 writers -- Louis Tracy and M.P. Shiels). L.T. Meade (1854-1914) and Clifford Halifax also collaborated in the 1890s as"Robert Eustace." Algernon Blackwood (1869- )	wrote John Silence (1908). Grant Allen (1848-1899). When Grant Allen was deathly ill he called upon his friend Sir Arthur Conan Doyle to complete his novel Hilda Wade (1899). Doyle completed it as requested. Vincent Starrett calls it "one of the great stories of pursuit and detection and one that is too little known." Mrs. Henry Wood (1814-1887) published a number of "Johnny Ludlow" tales. E. Phillips Oppenheim (1866- ) wrote "countless spy-and-intrigue novels...occasionally approach detection," Howard Haycraft tells us. Willard Huntington Wright says, "While he [Oppenheim] has written several books of detective stories, they represent his secondary work, and have little place in a library devoted to the best of crime-problem fiction" (The Great Detective Stories). 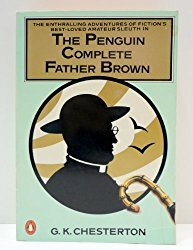 He calls the following four titles "his best-known so-called detective books": Peter Ruff, The Double Four, (see Peter Ruff and the Double Four) The Yellow Crayon, The Honorable Algernon Knox, Detective (The Great Detective Stories). Wright also says that Nicholas Goode, Detective "comes nearer to the detectival technic than any of Mr. Oppenheim's other books" but adds "...aside from its being a careless and inferior work, it is filled with irrelevancies of a romantic and adventurous nature. Nor are its criminal problems of any particular originality." William Le Queux (1864-1927) also wrote secret service tales. 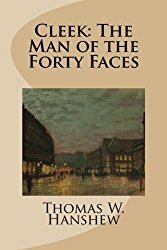 Thomas W. Hanshew (1857-1914) invented "Hamilton Cleek," a detective known as The Man of Forty Faces (1910). Mrs. Belloc Lowndes (1868- ) made several interesting contributions to the genre, including The Chink in the Armour (1912), and The Lodger (1913), which launched a whole new school of detective fiction -- the novel of suspense. 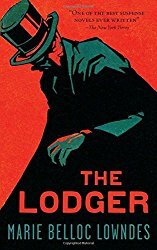 Haycraft describes The Lodger as "a masterly fictional analysis of the Jack-the-Ripper murders." Haycraft describes her "Hercules Popeau" stories as "legitimate...approach to detection per se." E.W. Hornung (1866-1921) created the criminal A.J. Raffles, the "amateur cracksman." Hornung was Arthur Conan Doyle's brother-in-law, and dedicated The Amateur Cracksman "To A.C.D., This Form of Flattery." Although Grant Allen's fictional criminal Colonel Clay appeared two years earlier than Raffles did, Raffles created quite a stir. E.M. Wrong says, "To make a hero of the criminal [e.g. Raffles] is to reverse the moral law" (Crime and Detection). Many people, including Doyle himself, reacted adversely to a criminal being the protagonist. Ultimately, Hornung brought his character over to the side of law and order. Hornung also wrote The Crime Doctor (1914). Barry Pain (1862-1928) wrote "Constantine Dix" stories.